The Medical College Admission Test, also known as the MCAT, is a very intimidating entry exam for prospective medical students. In addition to evaluating a prospective student’s prior knowledge of the very complex and nuanced field of medicine, this test has the secondary purpose of attempting to predict a student’s success in medical school. For these reasons, a great deal of pressure is on MCAT takers to succeed, with their future seemingly hanging in the balance. Because the MCAT is so intimidating, the vast majority of aspiring medical students will enroll in a comprehensive test prep program that will help them prepare for the exam. The best MCAT prep courses are rigorously paced and geared toward covering material found on the exam and the best MCAT study materials are intended to function as a training tool to help students acclimate to the testing environment. Since these courses are very expensive and time-consuming, it’s preferable to avoid retaking courses due to an inability to pass the MCAT on one’s first try. The substantial time and money cost associated with retaking has driven students to be very selective as to which prep course they want to enroll in, since a better course will increase their chances of passing. 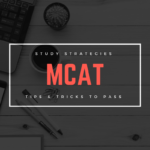 For the benefit of these students, this article will compare the study materials, costs, and specific strengths of the two most popular MCAT prep courses: Kaplan MCAT and The Princeton Review MCAT. 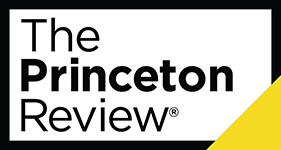 The Princeton Review is a highly prestigious educational organization that provides comprehensive tutoring resources for a variety of difficult tests. These mainly involve college entry exams such as the ACT, SAT, LSAT, and MCAT. For Princeton Review’s MCAT prep course, qualified professional tutors cover all 6 subjects of the exam with a multifaceted curriculum. One of the most significant benefits to choosing Princeton Review over other MCAT prep courses is the quantity and quality of instructors dedicated to teaching their curriculum. 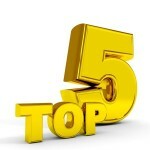 Even on the lowest priced program, 4 to 6 instructors are available with each covering a different section of the exam. These instructors are experts in their field and are chosen for their ability to provide a specialist’s knowledge in a particular subject. 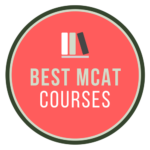 Other than the Princeton Review live online course, all other MCAT prep courses offered by this company feature a significant amount of classroom time. The most popular course, known as the Princeton Review MCAT Strategy, involves 44 hours of classroom time: an amount much higher than its competitor Kaplan. They also offer a much larger Ultimate course that has nearly triple the amount of classroom time at roughly 123 hours. 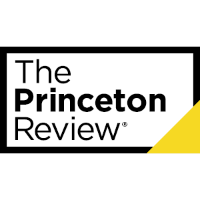 For prospective students who are skeptical of the Princeton Review’s MCAT prep programs, they offer many free resources to help them try some of them before making a monetary commitment. 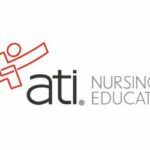 These include practice tests covering different aspects of the exam and can involve local strategy sessions and classes, depending on if there are any being offered near the student. While the materials offered by the Princeton Review are of a very high quality, they come at an equally high price. The least expensive package, referred to as a self-paced study course, comes with a staggering price tag of close to $2,000. The standard Strategy course costs around $2,300, the Ultimate course costs around $2,800, and their six week Summer Boot Camp costs almost $7,000. However, all of these prices pale in comparison to the astronomical $11,000 needed to enroll in their 60-hour Private Tutoring program. 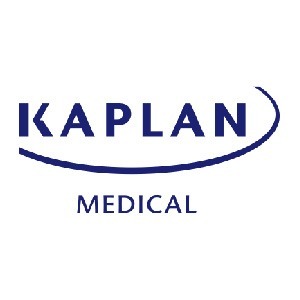 Similar to The Princeton Review, Kaplan is an organization with the goal of providing education to individuals in a variety of fields. In addition to MCAT test prep, Kaplan offers educational programs for the LSAT, PCAT, DAT, and GMAT. For individuals studying for the MCAT, there are multiple tiers of educational programs available ranging from online courses to in-person lectures and private tutoring sessions. The main advantage Kaplan offers over many other MCAT programs is the lower cost and higher versatility offered by its tutoring program. Students interested in booking a private tutor session can choose from one of three tiered packages with prices based on the amount of study time. These sessions can also be scheduled either in-person or online based on the student’s preference. Whether a student takes the Kaplan MCAT Live Online Course, an In Person course, or a one-on-one tutoring session, they are still given access to Kaplan’s MCAT Complete 7-Book Subject Review. Along with several practice tests and video lectures, this package contains over 10,000 practice questions. With only a finite amount of time on a student’s hands to prepare for the MCAT, many will prioritize quality of study material over quantity. Despite offering a significantly higher amount of practice questions to other test prep courses, Kaplan has received complaints from some students as to the quality of these questions and other materials. For this reason, students with less time on their hands would be better off finding a different study program. This MCAT study program is priced extremely high for a reason. With the robust staff of experts available to assist students with every facet of the exam, Princeton Review offers the best MCAT prep courses hands down. While emphasizing quality over quality, their study programs still offer enough material to ensure that students have a solid grasp of the material on the exam. Furthermore, they even offer trial sessions for prospective students who are intimidated by their higher prices. For these reasons, it is recommended that students pick The Princeton Review over Kaplan for their MCAT test prep needs.